Did You know our GTA IV module has over 10 Lamborghini cars? 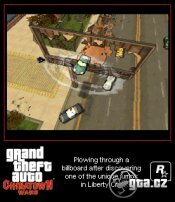 Hello, as we have previously inform you, a OpenIV team is preparing a huge conversation of Liberty City map into GTA V game. We are interested in more details about this perfect project, therefore we decided to talk with the guys about their project. Everything starts with an idea. Could you tell us, how did you get this idea? When GTA V was released we already have OpenIV tool for GTA IV and Max Payne 3. So we thought it would be cool to bring Liberty City into new game because we can do it mostly in automatic mode. So, we start research possibilities of expanding GTA V map. When we got first results in our research it was clear that we can put Liberty City near San Andreas and we start to work on GTA V formats research. Converting map from one game to another is indeed a huge task but for us it is a challenge that allows us to make OpenIV and GTA V modding better. How much time did this project take you? And what is time estimate? Personally, I spend almost all my free time on this, not only on Liberty City but also on OpenIV. Is it going to be only a map with buildings, people, cars, transport, or do you plan to convert missions as well? No, we will not convert any missions or scripts. It is map conversion not game. Will you add your own content into the LC? For example some Easter eggs? Yeah, we think about it. We have some ideas but first we need to bring the city. How will these two maps be connected? Will the plane be the only way to get to the Liberty City? They are will not be connected. So, plane or boat is the way. Could you tell us something about your team? How many people are in your team? Currently we have 6 people in our team, but not all of them are working directly on Liberty City mod. We all live in Russia and Ukraine. As soon as the Liberty City is released, do you plan to develop it somehow? Yeah, the first release will lack of some features, so we will update it with time. Do you have any idea, what the size of the mod for download will be? Not much. 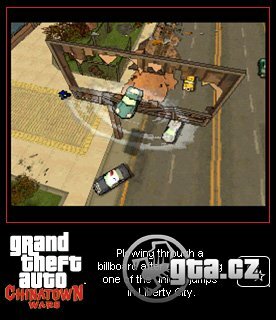 The user will need to download only converter tool, not the whole Liberty City. Will the map be only for PC player or for other platforms as well? Only for PC, other platforms does not support any modding. Do you play the GTA Online? While playing the game, do you still enjoy it as a player, or do you look at it as a programmer? I mean, is the game still the game for you, or do you take it from the point of view of your project. Yeah, sure when I play the game first time I enjoy it as a player. It is probably too soon to ask, but what are your future projects? Can we expect any next more maps into the GTA V world? First we need to make Liberty City, it is too early to ask about future projects. Thank you for your interview. We all wish you the best to finish this awesome project as soon as possible. Recently we have recruited eight new translators. They are an amazing team, and because of their strong effort and enthusiasm we are now proudly opening the next translated module of GTA.cz. You can visit an English version of the Vice City module which has been the 7th consecutive translated module in a row. We will gradually be adding translated and proof-read translations. We are also focusing on updating news and downloads for San Andreas, GTA IV and GTA V. So, there will always be new stuff when visiting our pages. You can find more information about our new translators in the article: Editor’s office. I would like to thank them for doing such a great job. A special thanks goes to: Victor Vlasák, Matěj Daniel, Kája Nodesová, Viktor Karlíček, Martin Mituník, Jan Šilha and Nicolas White. And also a special thanks goes to Alix, who has been helping with proof-reading as well as Cord Thomas. We are still in need of volunteer proof-readers. If you are a native speaker of English and you would like to help us, please, let us know. Hello fans, visitors, players, we have been looking for volunteers! If you want to help us with proofreading of our translations (articles, updates and other texts), we will be glad to invite you into our team. If you are an English native speaker with free time and you are willing to help us, send us an e-mail. Hello, we translated a new article, it's random characters walkthrough. If you want to read it, click here or find it in the left menu! Thanks to Potvora and Alix for translation and proof-reading! Hello, we've been working on a translation of an article about vehicles in TLaD and BoGT. Hope everything will go without problems and you'll get the article soon.